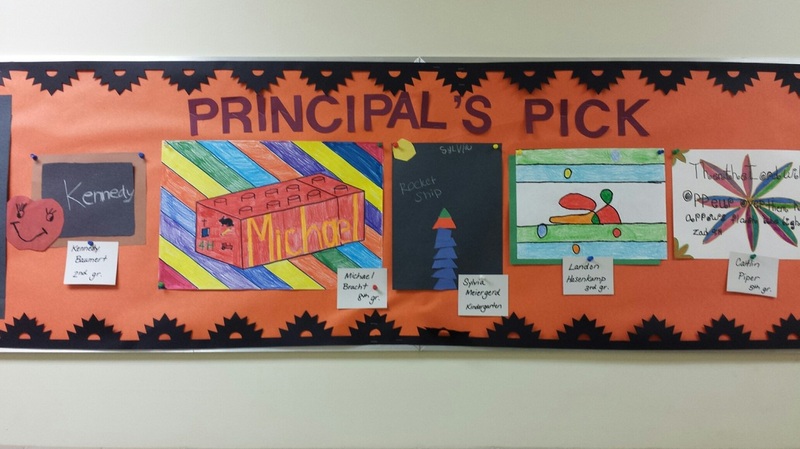 New this year - "Principal's Picks"
Mrs. Penrose will choose artwork that has been completed by our students at St. Paul's. Those pieces will receive the honor of being on display on a special bulletin board. For those of you who can't always make it into the school to see, we will post a photo of the chosen artwork on this page.